Another little activity from our winter boo box, in this project pack there's white, black and orange foam just cut out the shapes from the template included and that's it! The only extra item needed is scissors. Or you could use white and colour the eyes, buttons & 'carrot' with a felt tip! 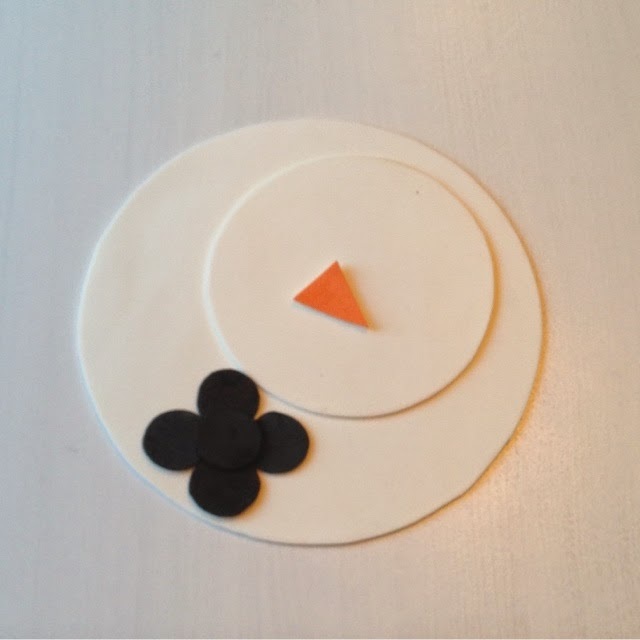 A side plate is a good starting point for the body of your snowman and a large jar lid for the head, a 2p is about the right size for the buttons & eyes. 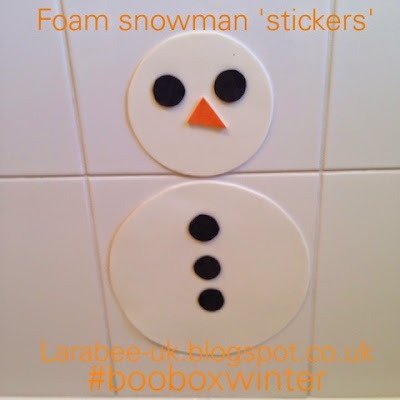 We've actually had this activity on the go for the past year, T particularly likes sticking it to the bathroom tiles with shaving foam 'glue' we also use it on the windows with a water spray. To extend this activity, I cut out extra buttons and eyes. We count the buttons and do simple addition and subtraction. We've also used avon's bath paints to draw happy faces on our snowmen. This is my entry for #toddlerapprovedtuesday this week. Do pop over to link up! What a great activity - so simple but it looks so cute!